With this DIY parabolic microphone from the folks over at GBPPR, you can listen in from a distance and do your sleuthing without ever leaving the couch. 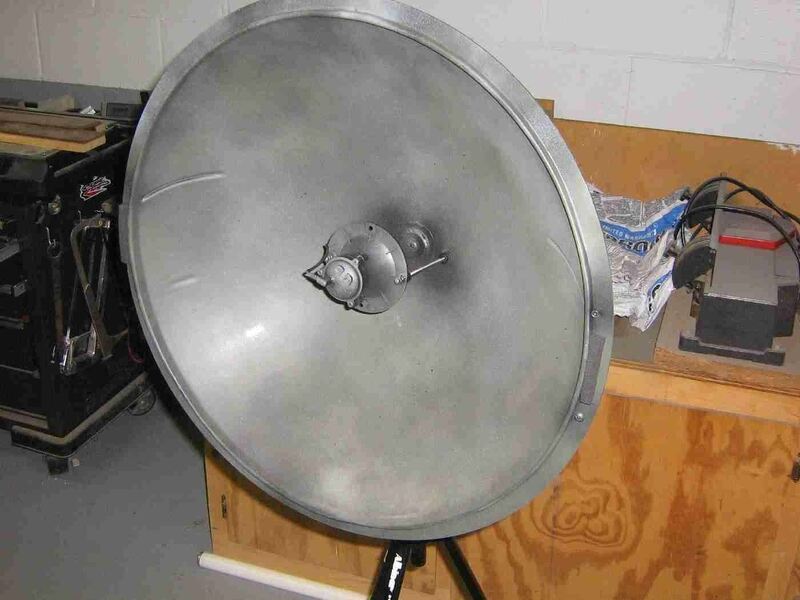 A parabolic microphone uses a parabolic reflector to focus sound waves onto a receiver. This makes it a lot more sensitive than a normal microphone (think of it like a satellite dish for audio). They're used for everything from sports broadcasting to nature recording, to more nefarious purposes like eavesdropping and law enforcement. To build your own, you'll need a parabolic reflector, which is the hardest part to find (GBPPR recommends eBay seller sdill471). For this setup, an aluminum wok lid was mounted behind the reflector with an L-bracket to keep it from flexing. You'll also need a 3.5" tweeter speaker and an electret microphone, which you can find at RadioShack. A low-noise amplifier circuit adds 40dB, and can be put into "boost mode" to pick up even more. The whole thing is mounted on a standard camera tripod. You'll need some minor circuitry skills, but overall, this isn't a super complicated build. You can find schematics as well as detailed instructions over on GBPPR or from their zine. Check out the video to see it in action. Wanna try a simpler version? You can turn an umbrella or megaphone into a lower-tech parabolic mic. Don't have either of those? The video below will show you how to hack one out of a salad bowl.